Robert W. Bly is an independent copywriter and marketing consultant with more than 35 years of experience in B2B and direct response marketing. He has worked with over 100 clients including IBM, AT&T, Embraer Executive Jet, Intuit, Boardroom, Grumman and more. He is the author of 85 books, including The Marketing Plan Handbook (Entrepreneur Press 2015), and he currently writes regular columns for Target Marketing Magazine and The Direct Response Letter. Plus, receive Bly’s very own templates, samples, and checklists that have stood the test of time to ensure your direct-mail strategy earns you the success you’ve been hoping for. Write a Winning Marketing Plan! Successful marketing consultant Robert W. Bly cuts through the clutter of short-lived marketing techniques and trendy gimmicks and reveals the critical steps necessary to build a practical marketing plan that produces the results of an expensive consultant without the hefty costs. Bob has the uncanny ability to take huge concepts and break them down in to practical, actionable steps. He does it again in The Marketing Plan Handbook. 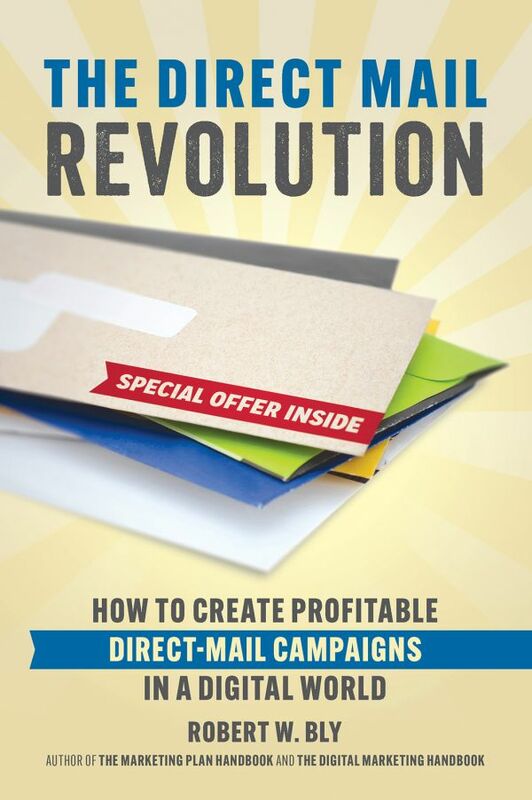 It's a no-brainer that applying the wisdom in this book will add incremental dollars to your business' bottom line. Most marketing books give you a list of cookie-cutter tactics you don't have time or budget for, along with some examples from famous brands that don't apply to anyone else's reality. This handbook is completely different. It's specifically for an entrepreneur or small business owner who needs to figure out a marketing plan that fits their special vision, wished-for lifestyle, and customers like a glove. Even if you're thinking of hiring a marketer or agency to help your business, read this book FIRST. You'll need it to give them the perfect directions for your unique business. 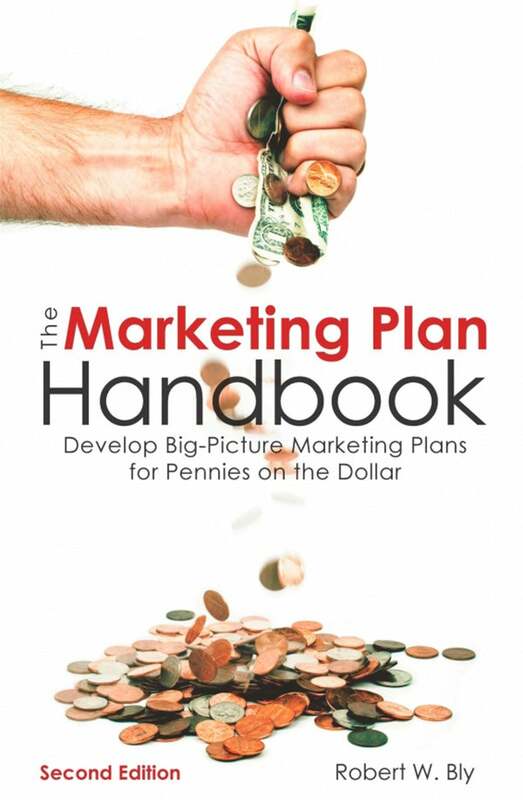 The Marketing Plan Handbook is loaded with rules, secrets, case histories, forms, charts, and worksheets on every facet of marketing and direct marketing. Bly never lets you lose sight of the essentials--continual accountability, analyzing (and besting) the competition, and the all-important arithmetic of return on investment. --Denny Hatch, founder of Who's Mailing What! Bob concisely lays the secrets to his success, AND the very tools he uses to make hundreds of his clients more money than they ever dreamed possible. Don't stop. Start reading this book now--before your competition does! Is your website earning you money? It should be. Transform your “online billboard” from cost center to profit center with this A to Z marketing blueprint. 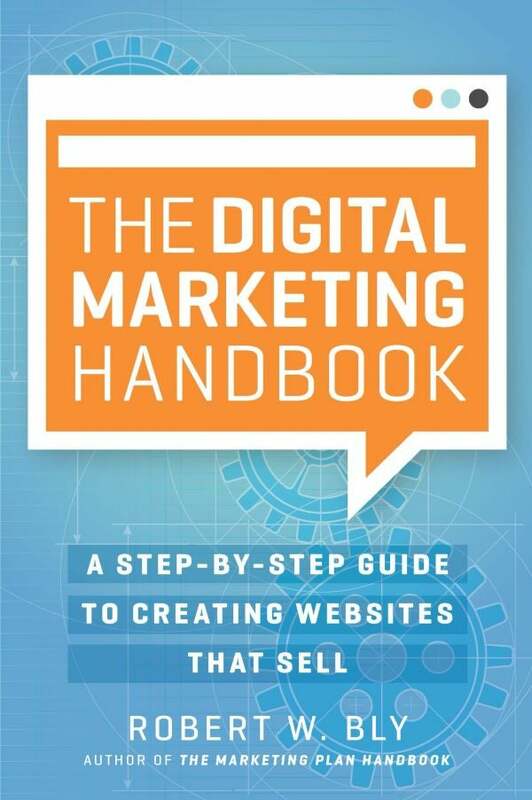 The Digital Marketing Handbook is step-by-step guide to transforming your website from cost center to profit center. Plus, you’ll get an inside look at the tactics of profit-earning masters including Amazon, Netflix, Grainger, and GKIC. Plus, find out how to build a profit-earning network with joint ventures, affiliate marketing, licensing, and more. If you’re ready to get your online business of the ground and tap into trillions of dollars in sales, this book is for you!